Even with the large Mexican-American population in the U.S. there has yet to be a mainstream film that embraces this very important, visually-striking, and colorful holiday. The next few years will remedy that with two upcoming family films meant to capitalize on Dia de los Muertos. 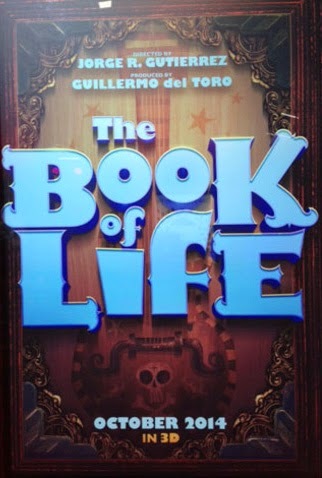 The Guillermo del Toro produced animated film to be released in October 17, 2014. The film has been described as a Romeo and Juliet style love story set against a Mexican Day of the Dead backdrop and follows the journey of Manolo, a young man who is torn between fulfilling the expectations of his family and following his heart. Before choosing which path to follow, he embarks on an incredible adventure in three fantastical worlds where he must face his greatest fears. The film is being directed by Jorge R. Gutierrez who is no stranger to the colorful skeletons and whimsical nature of the holiday,a and stars the voices of Channing Tatum, Zoe Saldana, Diego Lina and Christina Applegate. Pixar is also working on a Dia de los Muertos film and faced some backlash earlier this year when they tried to trademark “Dia de los Muertos.” The long-gestating project has been announced but doesn’t have a title or a release date (insiders suggest a 2016 release). The film is being directed by Lee Unkrick, director of some of Pixar’s best films including Toy Story 2 & 3, Finding Nemo and Monsters, Inc.